On April 12, 2019 (the Closing Date), Simmons First National Corporation (Simmons or the Company), the parent holding company of Simmons Bank, completed the transactions contemplated by the Agreement and Plan of Merger, dated as of November 13, 2018, as amended on February 11, 2019 (the Agreement), by and between Simmons and Reliance Bancshares, Inc. (Reliance), the parent holding company of Reliance Bank. In accordance with the Agreement, on the Closing Date, each share of Fixed Rate Cumulative Perpetual Preferred Stock, no par value, Series A of Reliance (Reliance Series A Preferred Stock) and Fixed Rate Cumulative Perpetual Preferred Stock, no par value, Series B of Reliance (Reliance Series B Preferred Stock) issued and outstanding immediately prior to the Effective Time (as defined below) was converted into the right to receive one share of Series A Preferred Stock, par value $0.01 per share, of Simmons (Simmons Series A Preferred Stock), or Series B Preferred Stock, par value $0.01 per share, of Simmons (Simmons Series B Preferred Stock, and together with the Simmons Series A Preferred Stock, Simmons A/B Preferred Stock), respectively (the Conversion). There are 40,000 shares of Reliance Series A Preferred Stock and 2,000.02 shares of Reliance Series B Preferred Stock outstanding, which in the Conversion were converted into the same number of shares of Simmons Series A Preferred Stock and Simmons Series B Preferred Stock, respectively. In the Conversion, Simmons issued the shares of Simmons A/B Preferred Stock described above in reliance on the exemption from registration afforded by Section 4(a)(2) of the Securities Act of 1933, as amended (the Securities Act) and Rule 506 of Regulation D promulgated thereunder. The Simmons Series A Preferred Stock has a liquidation preference of $1,000 per share and is not convertible into Class A Common Stock, par value $0.01 per share, of Simmons (Simmons Common Stock) or any other security. Holders are entitled to receive cumulative dividends each February 15, May 15, August 15, and November 15. The dividend rate is 9% per annum. The Simmons Series A Preferred Stock may be redeemed at any time at the election of Simmons (and with the approval of the Federal Reserve Board of Governors) at a redemption price of 100% of the liquidation preference, plus accrued but unpaid dividends to the date of redemption. The Simmons Series A Preferred Stock ranks senior to Simmons Common Stock with respect to the payment of dividends and rights upon the voluntary or involuntary liquidation, dissolution, or winding up of Simmons. The Simmons Series B Preferred Stock has a liquidation preference of $1,000 per share and is not convertible into Simmons Common Stock or any other security. Holders are entitled to receive cumulative dividends each February 15, May 15, August 15, and November 15. The dividend rate is 9% per annum. The Simmons Series B Preferred Stock may be redeemed at any time at the election of Simmons (and with the approval of the Federal Reserve Board of Governors) at a redemption price of 100% of the liquidation preference, plus accrued but unpaid dividends to the date of redemption. Redemption of the Simmons Series B Preferred Stock is also subject to completion of the redemption of the Simmons Series A Preferred Stock. The Simmons Series B Preferred Stock ranks senior to Simmons Common Stock with respect to the payment of dividends and rights upon the voluntary or involuntary liquidation, dissolution, or winding up of Simmons. The foregoing description of the rights of Simmons A/B Preferred Stock does not purport to be complete and is qualified in its entirety by reference to the full text of the Simmons Series A Preferred Stock and Simmons Series B Preferred Stock Certificates of Designations in the Companys Amended and Restated Articles of Incorporation, filed with this Current Report on Form 8-K as Exhibit 3.1, and incorporated herein by reference. On April 15, 2019, the Company issued a press release announcing the consummation of the Mergers (defined below). A copy of the press release is attached as Exhibit 99.1 and is incorporated herein by reference. This information (including Exhibit 99.1) is being furnished under Item 7.01 of this Form 8-K and shall not be deemed filed for purposes of Section 18 of the Securities Exchange Act of 1934, as amended (Exchange Act) or otherwise subject to the liabilities of that section, and such information shall not be deemed incorporated by reference in any filing under the Securities Act, or the Exchange Act, except as shall be expressly set forth by specific reference in such filing. On April 12, 2019, Simmons completed the transactions contemplated by the Agreement. On the Closing Date, (i) Reliance was merged with and into Simmons, with Simmons continuing as the surviving corporation (the Merger) (the effective time of the Merger, the Effective Time) and (ii) simultaneously with the Merger, Reliance Bank was merged with and into Simmons Bank, with Simmons Bank continuing as the surviving bank (together with the Merger, the Mergers). The Mergers were described in the Registration Statement on Form S-4 (File No. 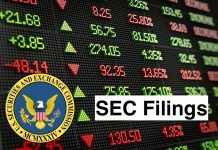 333-229378) filed with the U.S. Securities and Exchange Commission (the SEC) on January 25, 2019 and amended on February 12, 2019 (the Registration Statement). At the Effective Time, to the terms of the Agreement, each share of common stock, par value $0.25 per share, of Reliance (Reliance Common Stock) was converted into the right to receive 0.043094 shares of common stock, par value $0.01 per share, of Simmons, with cash paid in lieu of fractional shares, and (ii) $0.602051 in cash (collectively, the Per Share Merger Consideration). In addition, at the Effective Time, each share of Reliance Series A Preferred Stock and Reliance Series B Preferred Stock was converted into the right to receive one share of Simmons Series A Preferred Stock or Simmons Series B Preferred Stock, respectively, and each holder of shares of 7% Perpetual Convertible Preferred Stock, no par value, Series C of Reliance (Reliance Series C Preferred Stock), received for each such share of Reliance Series C Preferred Stock one share of Simmons comparable 7% Perpetual Convertible Preferred Stock, par value $0.01 per share, Series C (Simmons Series C Preferred Stock), unless such holder of Reliance Series C Preferred Stock affirmatively elected five days prior to the Effective Time to receive either (i) $1,000 per share plus any accrued and unpaid dividends (which is (a) the liquidation amount of $1,000 per share of Simmons Series C Preferred Stock plus (b) the amount of accrued and unpaid dividends on such share), or (ii) the Per Share Merger Consideration that would be payable if such share had been converted to Reliance Common Stock prior to the Effective Time. The foregoing summary of the Agreement and the Mergers is not complete and is qualified in its entirety by reference to the complete text of the Agreement, which was filed as Annex A to the Registration Statement, which is incorporated by reference as Exhibit 2.1 hereto and is incorporated herein by reference. 3.1 Amended and Restated Articles of Incorporation of Simmons First National Corporation, as amended on February 12, 2019 (incorporated by reference to Exhibit 3.1 to Simmons First National Corporations Amended Current Report on Form 8-K/A filed with the SEC on April 11, 2019). 99.1 Press Release issued by Simmons First National Corporation on April 15, 2019. Simmons First National Corporation is a financial holding company. The Company’s subsidiary bank is Simmons First National Bank (Simmons Bank), a national bank. Simmons Bank and its subsidiaries provide banking services to individuals and businesses across the market areas they serve. Simmons Bank offers consumer, real estate and commercial loans, checking, savings and time deposits. It also offers a range of products and services, including credit cards, trust services, investments, agricultural finance lending, equipment lending, insurance, consumer finance and small business administration (SBA) lending. The Company conducts its banking operations through approximately 150 branches or financial centers, located in communities throughout Arkansas, Missouri, and Kansas. Its loan portfolios were loans to businesses (commercial loans, commercial real estate loans and agricultural loans) and individuals (consumer loans, credit card loans and single-family residential real estate loans).